Save 100% on stress with the best chair massage in Dallas. ** If your event is outside the Dallas metro area, call for a quote. 1: CONTACT US Fill out the contact form or give us a call at (972) 791-8444 to talk to someone about your needs. Where Can We Bring Chair Massage in Dallas, TX? Anywhere! 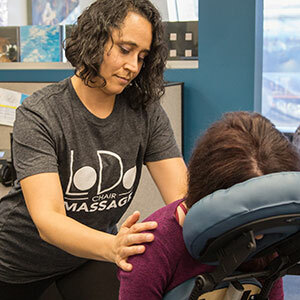 LoDo Chair Massage top-rated massage therapists are available in the Dallas-Fort Worth metropolitan area for your next on-site chair massage event. 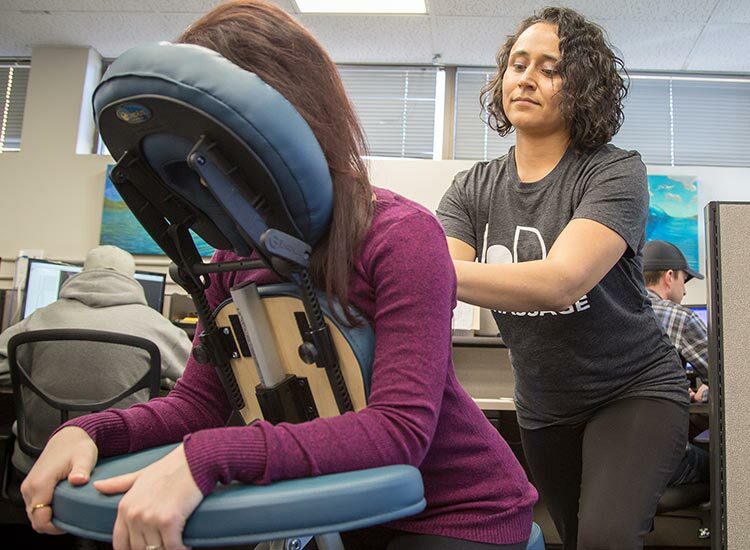 Whether your downtown Dallas office on Main Street deals with defense, financial services, IT and data management, healthcare or telecommunications, your busy employees could sure enjoy a relaxing chair massage. Trendy showrooms in Trinity can also utilize the Texas-sized benefits of massage therapy to add extra oomph for gallery openings and art events. You can also set up a chair for your employees or event guests at the Galleria Dallas or at one of the many hotels around town. Contact us today at (972) 791-8444 to learn more about our chair massage therapists in Dallas, TX. 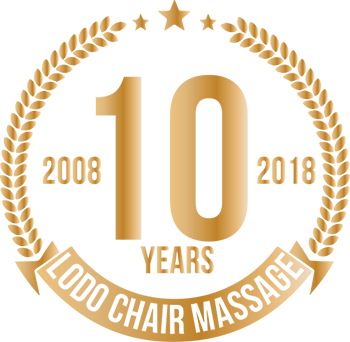 We are the most highly rated corporate wellness service in Dallas, as well as other cities in Texas including Austin, Houston, and San Antonio. Our therapists are available in the Dallas, TX metro area for weekly, biweekly, monthly, or quarterly visits. We also offer package discounts for large events, repeat customers, and referrals. Call for a chair massage at your workplace in Dallas, TX. Please reference our client list to see who we've worked with. Alfredo is a chair massage therapist in Dallas, TX. 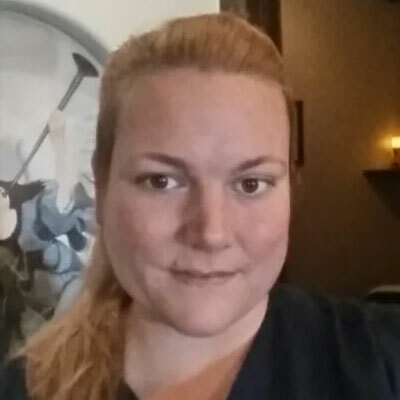 Andrea is an experienced massage therapist dedicated to providing quality therapeutic massages and educate people on overall health and wellness. She is skilled in chair massage, Swedish, Deep Tissue, Hot Stone, Body Stretching, Prenatal, and Orthopedic modalities. Andrea also has experience in spa services, CPR, customer service, retail, and marketing. I've been doing chair massage for 2 years now. I graduated in early 2016 from Kekino Massage Academy in Plano. I've worked in Chiropractic offices, Physical Therapy, and am also a Rehabilitation Technician. Currently I do independent contract work with A doctors office specializing in Medical Massage as well as Chair Massage at 3 different Health food store locations. I specialize in Sports Massage, Deep Tissue, Myofascial Release, ROM, Prenatal and Neuromuscular Therapy. I am CPR Certified. 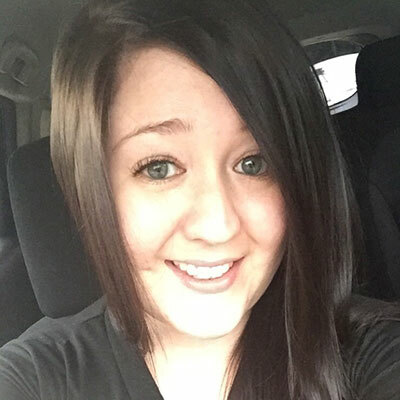 Crystal is a licensed massage therapist who is up-beat, positive, and friendly. She has the hands of a healer, and is very intuitive about the needs of her clients. She likes to do chair massage events because she meets so many fascinating people! Daniel is a chair massage therapist in Dallas, TX. Diedra is a chair massage therapist in Dallas, TX. I've been practicing for over 11 yrs. I Have a genuine passion toward my work and love to help people relieve neck/back problems to help improve their way of life. I also have a passion for health. I specialize in Deep Tissue, Sports,Trigger Points, and Pain Management. I am also certified in Medical Massage and have done chair massage from the very beginning to present. I absolute love what I do and look forward to working with you! Jasmine's passion and desire of always wanting to help others is what led to her career in massage therapy. 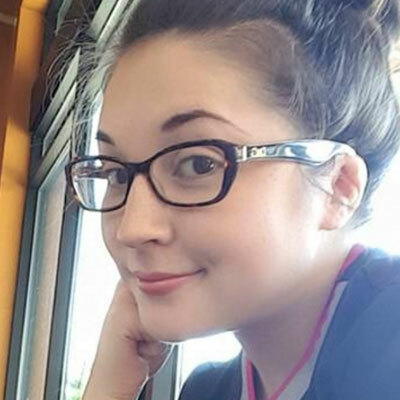 She graduated from Texas Center of Massage Therapy in October 2016 with 815 hours. She believes in the healing power of touch, so every massage is always customized for individual needs. Jasmine specializes in chair massage, Swedish, trigger point, deep tissue, and many more! She feels massage therapy is the best career path for her. and she can't wait to explore the world learning the different modalities of massage! Jorge has a Masters Social Work degree form the University of Washington and is also a licensed massage therapist. In 2008, he received his education from Cambridge College in Orgeon. Their training has prepared him to provide quality, therapeutic massage for clients with diverse health backgrounds. His past experience and professional techniques include a combination of Swedish, deep tissue, and sports massage; however, he can also perform a beneficial chair massage. During his free time, Jorge enjoys listneing to music, reading, or watching a great movie. When not giving massages, he works as a social worker in Dallas area nursing homes. He has met very many wonderful people in both occupations. You will find that his skills are very healing, and together you can achieve better outcomes to meet all of your health care needs. ¡Si, habló español! Kathleen graduated from San Diego State University with her Bachelor's degree in Kinesiology with an emphasis in Athletic Training. She pursued her career in Athletic Training gaining experience working with professional, collegiate, and youth athletes. While continuing her career in Athletic Training, she found her true passion in rehabilitation and helping her athletes with their personal performance goals. While working as an Assistant Athletic Trainer for a San Diego high school, Kathleen began working for a spinal cord rehabilitation company - helping coach individuals with neurological disorders through modified exercise programs. It was here tha was able to grow in creativity, creating her clients' rehabilitation programs and looking at the entirety of the body and how different stimuli can affect how the body responds. That company eventually progressed into a full-time position that prompted a move to Melbourne, Australia, followed by Dallas, TX to help franchise companies grow. Always being an athlete herself and struggling through injury after injury, she decided to focus on increasing her strength, flexibility, and focusing on where her pain was coming from. She completed her strength and conditioning certification and began getting regular massage therapy and active stretching. 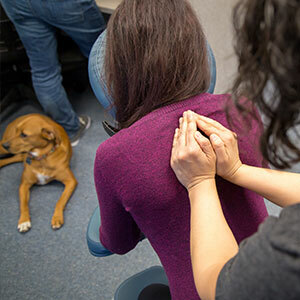 Seeing the benefit of combining these different approaches and practices, she decided to attend Sterling Health Center and get her license in Massage Therapy. Kathleen's goal is to create an integrated approach that focuses on manual therapy and bodywork, corrective exercise, sports performance, and nutritional guidance. She targets her clients' main concerns and tailors their sessions based on their specific body needs. With experience in Swedish, deep tissue, sports massage, trigger point therapy, myofascial release, PNF, ART, cupping, Graston, and fascial stretch, each appointment becomes a hybrid of therapies to create the most beneficial effect for her client. I graduated from Oceans Massage Therapy Center in Lubbock, TX in July 2013. Prior to graduating and even up until now I've worked under chiropractors primarily doing chair massage and myofascial release. I also currently work for an organic spa and do my own out calls as well. I specialize in chair, sports, deep tissue, relaxation and trigger point massage. Whenever performing any kind of massage all products I use are 100% organic, no chemicals or parabens. I love working with essential oils as well! Ultimately I love what I do because I love making people feel better, even it's just helping people escape from everyday life just to relax. That is what makes being a massage therapist so rewarding! 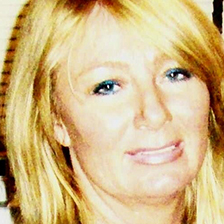 Lisa is a chair massage therapist in Dallas, TX. Lonmontre is a healer at heart. His touch is gentle, warm, and strong. During a massage session, his client can expect to experience a deep, relaxing, soothing massage. He is very attentive to your body language, so he always asks for your feedback during a session to ensure you have his undivided attention and that your body is comfortable with the level of pressure. He will properly address any medical or physical limitations respectively. In addition to total bliss and relaxation, homeostasis is always his goal for your massage session. Marquel is a chair massage therapist in Dallas, TX. Marquetta "Keta" has been massaging for 10 years. The last 5 years, she has been doing mobile chair and table massages. Keta became a therapist following the footsteps of her mother who has been license for 18 years. She specializes in deep tissue and trigger point therapy. She enjoys doing table massage, but finds that she enjoys doing chair massage more. Michael has been a Massage Therapist since 1998. In addition to chair massage, she has a full body private practice in Richardson and works with people from all walks of life, including children and adults with disabilities. She has advanced training in myofascial release and trigger point therapy, pregnancy massage, and is a Reiki Master. When she's not working, she loves spending time with her family, practicing yoga, scuba diving, and laughing with friends. Helping others is Sam's passion. He has spent the past 8+ years helping clients reach their health, wellness, and fitness goals while developing and refining his practice as a licensed massage therapist, holistic wellness advocate, and health and fitness coach in gym, rehabilitation, and spa settings. The approach he takes with massage is based upon integrative principles. He says current in his approach by keeping up-to-date with cutting edge research and massage techniques in addition to relying on the strong foundation of massage training he received from Parker University - School of Massage Therapy. This program included massage technique training in Swedish, Sports, Neuromuscular Therapy, Myofascial Release, Chair, and Eastern modalities. Ultimately, Sam believes the ideal massage is the perfect blend of therapy and relaxation and the blend is unique to every individual. I went to school at Hands on Therapy School of Massage in 2000. I have been practicing massage since then in DFW area. Helping heal others is a great passion of mine. I use Swedish, Deep Tissue, Hot Stones, Aromatherapy, Chair Massage, Headache Relief, Prenatal, Post Natal, and techniques I have learned working with clients with special needs and disabilities. I customize every massage to my clients needs to help them feel better. Susanne Haces, LMT is a massage therapist, holistic health coach, 5Rhythms© dancer and teacher, and Wastu© pracitioner. She has created an integrative whole body practice around movement, embodiment, and wellness through massage, health coaching, dancing, and aquatic therapy. She has been practicing in the healing arts since 2005 after completing massage therapy school in Dallas, TX. Susie is a certified Esalen© massage practitioner. She trained in Bali, Indonesia and travels to Esalen© Institute for advanced massage training and 5Rhythms© moving meditation practice. She is passionate about holding space for others to drop into their dance, let go, and connect to their breath during a massage session, on the dance floor, and in the healing warm waters. 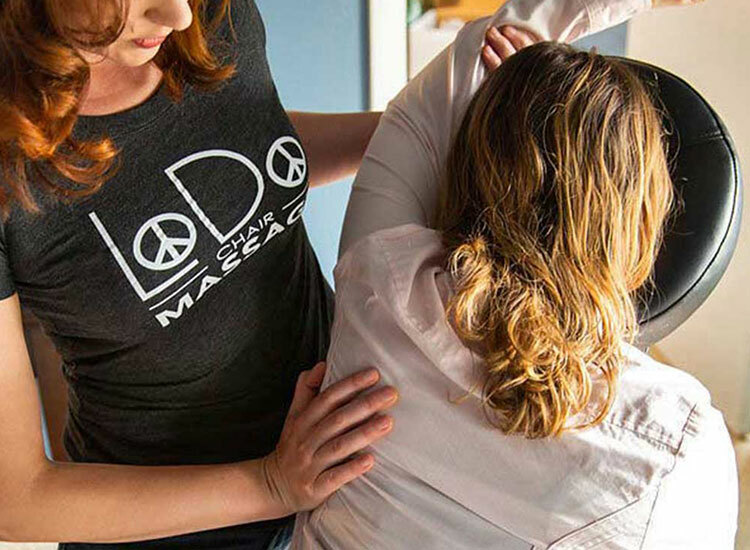 She combines several modalities into her sessions including Swedish style strokes, myofascial release, Thai massage, Traeger, Craniosacral, deep tissue, and essential oils. Tarrah is a chair massage therapist in Dallas, TX.